Dubai: I looked over in astonishment, as my husband walked over to the playground with our 4 year old and 2 year old, and promptly took a seat on a nearby bench. Within seconds, one child had already climbed up a tree house and the other was standing hesitatingly at the slide. I looked over at him sitting there nonchalantly, and asked in bewilderment “Aren’t you going to supervise them?” I knew that I would immediately turn into the typical helicopter parent at the playground; I would be hovering by the slide, trying to catch the youngest, while reminding the oldest to wait her turn. I realize this could be a male versus female thing. This could be the difference between a dad parenting and a mom parenting. But before you consider one of us overbearing and the other careless, there was a better reason for the difference in our parenting philosophies. We simply came from different cultures. Mine values vigilance and care, his values independence and the freedom to learn. As it turns out, how you parent, is quite often an interesting combination of where you are from, which culture(s) you and your partner grew up in, and of course where you currently live. Parental ethnotheories are cultural models that parents hold regarding children, families, and themselves as parents. Like other cultural models related to the self, parental ethnotheories are often implicit, taken-for-granted ideas about the “natural” or “right” way to parent, directly influenced by the cultural norms in which you grew up. This would explain why, as long term expats who come from vastly different cultures, my husband and I don’t often see eye to eye especially when it comes to parenting our two kids. My husband comes from a cross-cultural family (German and Italian), whereas I come from a cross-cultural experience (Pakistani and American). As expats, we have raised our daughter in Singapore, and are now raising our daughter and son in Dubai. 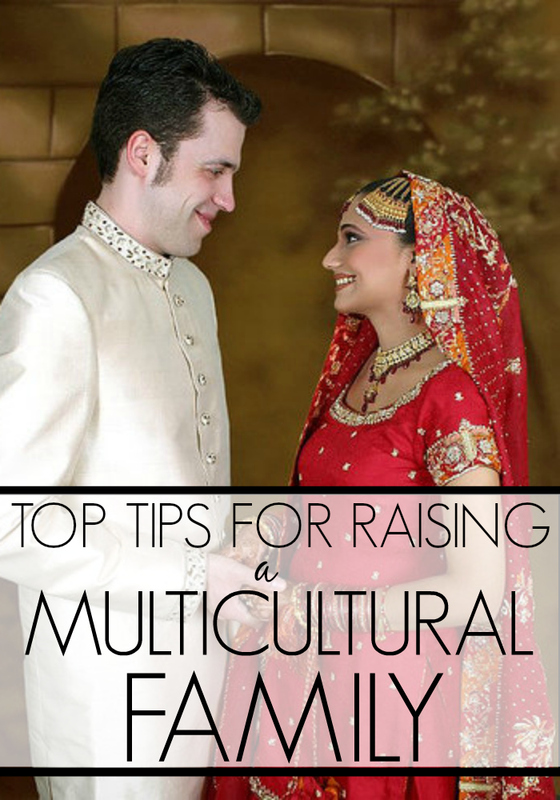 But before we talk about raising a multicultural family, it is important to talk about what lies at its foundations: a multicultural marriage. I could just about imagine the faces of my Pakistani parents during my wedding! Public displays of affection are not only frowned upon in Pakistani society, but on the whole discouraged and extremely rare. Affection is a private matter, not put out there for the world to see. Not even on weddings. 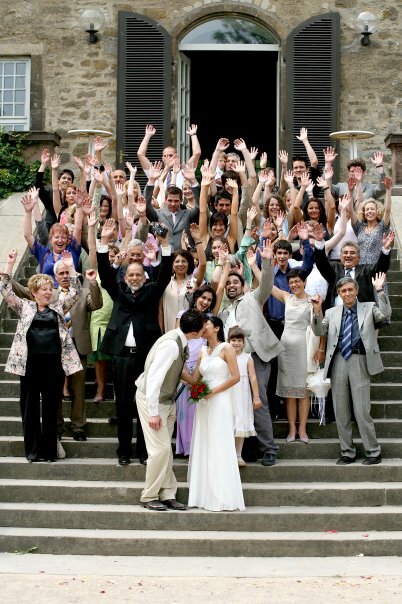 In the 10 years since that day, we have worked at our multicultural marriage which has grown from strength to strength. The irony is that instead of arguing over what to name our children or which country to live in, our most frequent arguments are usually over the trivial things like… the weather and on setting the room temperature. Too hot or too cold is supremely relative depending on where you are from. In this case, a multicultural marriage is not any different from a same-culture marriage – it’s always the god of small things that are playing games with you! But for all the cultural misunderstandings, frequent translations back and forth, and the visits to our home countries; our multicultural marriage has helped us blur nationalistic, racial, religious and cultural lines. The awareness and negotiation on small everyday decisions has helped to garner empathy, compassion, tolerance and respect for the world. In a multicultural marriage, simple parenting decisions like what is the appropriate bedtime for your children can often become a whole lesson in culture, upbringing and identity. How do you work through the cultural differences to achieve common ground? Our rules are simple. We expose our kids to all the different cultures they come from, including the place they live. When our cultures conflict with one another, we try to choose a happy medium. When it gets too overwhelming, we decide to focus on one culture per month and read books, watch movies, listen to songs, cook food from that culture and try to let our children familiarize themselves with their rich diversity. 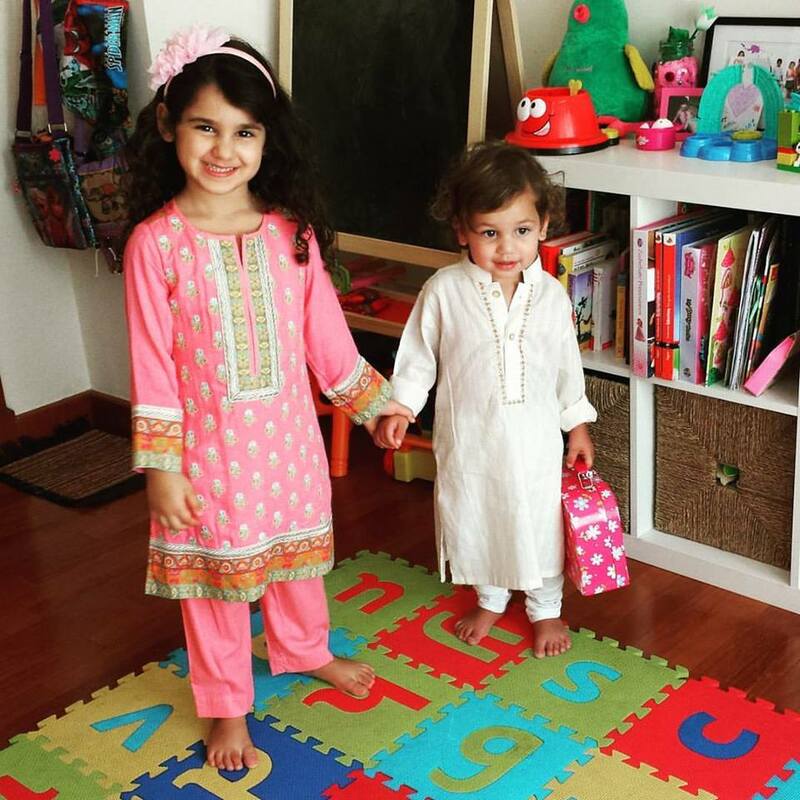 Our kids celebrate Eid with one set of grandparents, and Christmas with the other. Since one was born and grew up in Singapore, she also loves to celebrate Chinese New Year. We encourage them to feel both Asian and European. They are able to speak in Urdu, sing in Italian, talk in German, study in English and learn Mandarin or Arabic in school. Our multicultural approach to parenting works best when we communicate clearly. As a rule, my husband and I don’t try to gloss over our differences. The best strategy that has worked for us has been to acknowledge and embrace our cultural differences. We talk regularly about how we parent differently and just sometimes saying it out loud to each other helps to take the friction away and leaves us wanting to find a way to work together. We talk about our different parenting ideals and then figure out a way forward that incorporates who we both are. Live on neutral ground: This may sound counter-productive in terms of adding complexity, but as expats, we have found it easier to raise a family in expat-heavy places like Singapore and Dubai, than in Berlin, Milan or Karachi. The pressure to conform to one particular culture is always greater when we have lived in one of our home countries. Which is why living on neutral ground, a.k.a in ‘expatland’ has helped us expose our children to their different cultural heritage and helped maintain a balance between our different cultures. Living on neutral ground means we both work hard at maintaining our cultural ties, without taking it for granted. Focus on the enrichment that happens for your child as a result of the different cultures:Having a multicultural family is an asset. Our kids are lucky to be able to experience different cultures at home. Find a way to complement all the differences to result in enrichment. For instance, we have found that in our Italian and Pakistani culture, there is a lot of emphasis on food and eating together as a family. We observe this in our household and try to plan for family dinners during the week. Don’t expect the culture in which you live in, not to affect your parenting:It has also meant including and understanding the influence of the host country’s culture in our parenting decisions, which is also very much a reflection of how we as expat parents change our view points. While our cultural roots will always be part of us, moving around the world we get influenced (mostly unwittingly) by the cultural norms surrounding us, especially with regards to parenting, as schools and parenting groups often form focal points of community life. While this may add a whole new layer of complexity, embracing these challenges and talking about them proactively will help turning them into very enriching cultural learning experiences. Raising children is hard work. But raising multicultural children in several cultures around the world is a true adventure! Mariam Ottimofiore is a Pakistani expat, who has spent the past 15 years living abroad in the US, UK, Germany, Denmark, Singapore and the UAE. She is the founder and writer behind the blog ‘And Then We Moved To’ (www.andthenwemovedto.com) where she talks about life on the expat trail, raising her two multicultural and multilingual children and traveling the world. You can follow her multicultural adventures on Facebook (www.facebook.com/andthenwemovedto), Instagram (@andthenwemovedto) and Twitter (@andthenwemoved2). You have some really helpful ideas for families navigating blending of two cultures! The tip to love on neutral ground makes so much sense! Great article! Think that the live in neutral ground tip is a great one but sometimes not always possible unfortunately! Thanks so much Tracey! Yes living on neutral ground can be amazing, but not always possible. In many cases, like in the US for example, living in a neutral State, (one that neither you nor your partner are from) can also help in gaining some distance and working out your own rules. Living close to your respective families and extended relatives can also be really helpful in passing your culture onto your kids. In the end, each multicultural family has to decide what works best for them! 🙂 The funny thing with culture is that when you’re in it, you don’t notice it as much, but when you remove yourself from it, suddenly you realize which aspects of your culture are important to you and which are not. This in itself brought forth many insights for my husband and myself in terms of figuring out how to raise our multicultural children. Thank you Dini, that so lovely to hear! I loved hearing about your multicultural family and what works for you! Its great to hear how you have blended your different cultures and I agree open communication makes parenting a whole lot easier. Once the kids are teenagers, I’m sure life will get all the more interesting! 😉 Sounds like you found your neutral ground by sailing the seas! What great advice! I love how you respect each other’s backgrounds and parenting styles. Best wishes! Thank you so much Lisa! Yes, respecting each others cultures and backgrounds is vital as is talking about our differences openly 🙂 Thank you so much for reading!